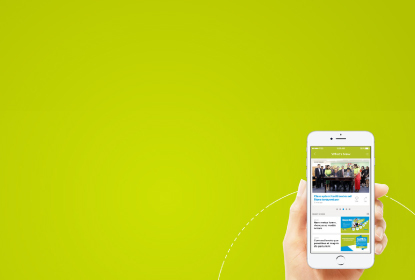 Wing Explores New Fintech Opportunities for International Remittance from Korea to Cambodia. 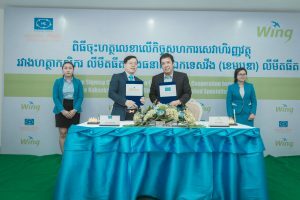 Phnom Penh: Wing (Cambodia) Limited Specialized Bank officially announced their partnership with Korea’s international remittance company, GMoney Trans, to explore new fintech opportunities during the 2016 Financial Technology Demo-Day last 13th of June 2016 at the Le Royal Hotel. The partnership was represented by Wing Chief Executive Officer, Mr. Jojo Malolos, and GMoneyTrans Chief Executive Officer, Mr. Kim Jong Moo, and was attended by representatives from the National Bank of Cambodia, The Ministry of Economy and Finance, and other distinguished guests. 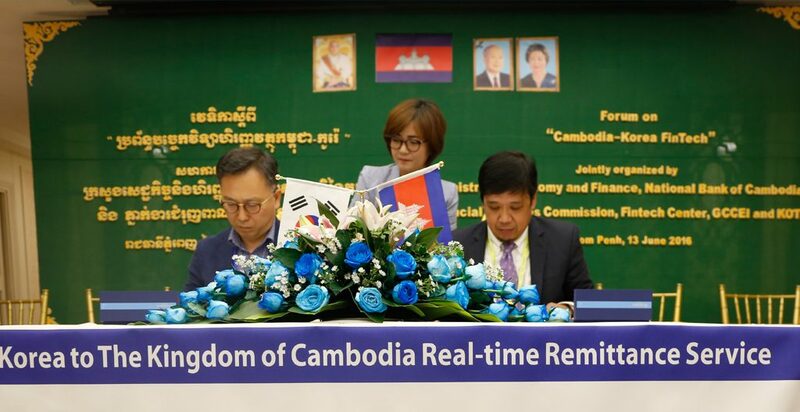 With this, residents and migrants in South Korea will be able to send money to Cambodia directly to a Wing account, making international remittance more secure, and more convenient. Through this partnership, both companies believe that they will be able to understand and address the growing number of Cambodian migrant workers in Korea. 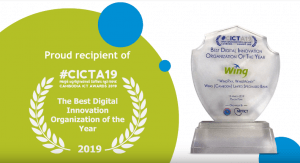 By doing so, this will allow both groups to take the lead in providing easy and innovative solutions to the market and at the same time, ensure a simple, user-friendly, and reliable international money transfer service for Cambodians to enjoy anytime, anywhere. 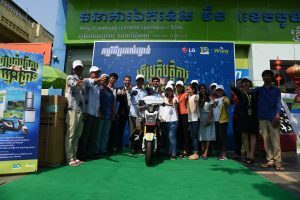 Since its launch in 2009, WING has created innovative ways of transferring money faster, more secure, and more convenient for every Cambodian to enjoy. Through its products and services, WING has provided Cambodians access to financial services, such as money transfers, phone top up, bills payment, WING Ket Luy (payments using WING Card at retail shops), and online payment. For more information, please contact us at 023 999 989.